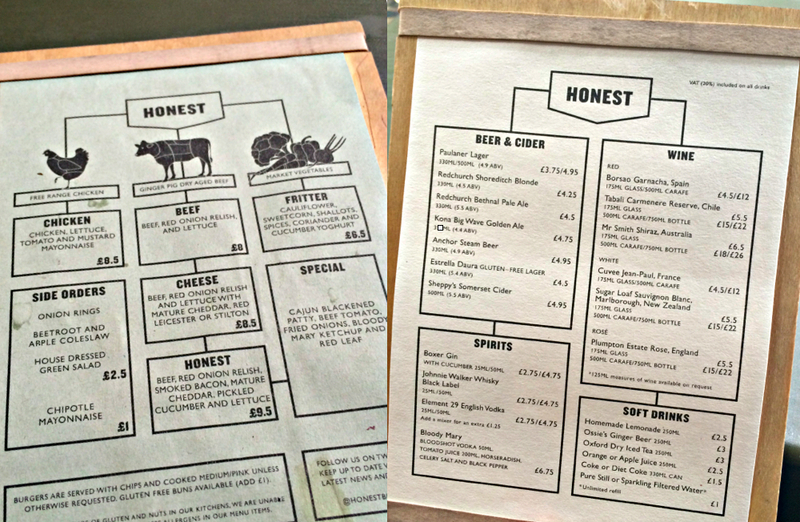 HONEST Burgers, London | AN EDIBLE LIFE. 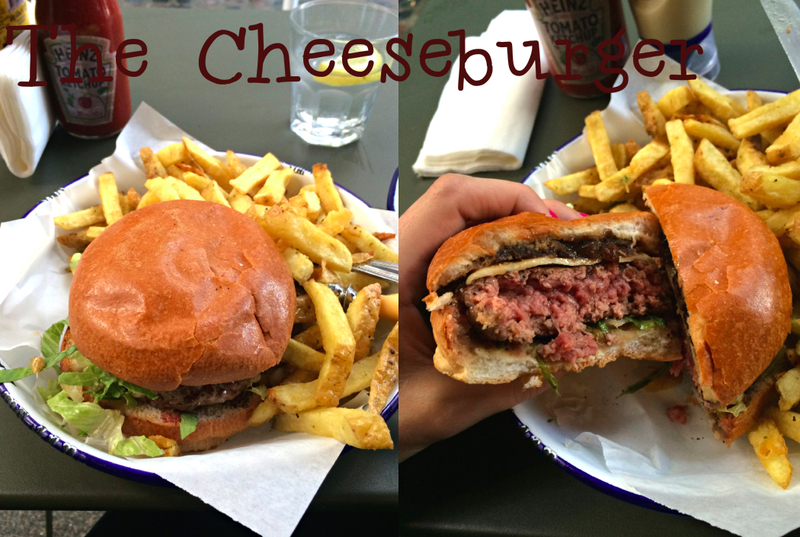 I shamefully have never been to Honest Burgers, so when my friend suggested we go, naturally I was “proper buzzing”. We asked to sit outside in the rain (under an umbrella thing obviously – were not that crazy) to avoid waiting at all! I love love loved the menu, so simple and small (I have previously mentioned my love of small menus) and it’s on a beautiful wooden board. I ordered the Cheese Burger (wasn’t feeling bacon at the time) and my dinner date went for the Honest Burger. Both burgers came with rosemary salted chips (amazing!) and we got some red slaw on the side. The burger was absolutely incredible….I asked for medium rare, and yes, some bits were still mooing, but it was so SO tasty. Just the right amount of condiments were on it, it wasn’t too rich and the brioche bun was to die for. Sometimes ‘trendy’ burgers can be overloaded with bits and bobs and tastes and flavours, but not this baby. The rosemary chips were great too but a little too much rosemary for me. The waitress was lovely and we had an amazing waiter come over and take our cash, he loved telling us that he had eaten 3 mistake burgers already that day! The bill came to….wait for it…£20.50! For two burgers with chips and a side of slaw. We thought it was a joke, it wasn’t.